We live in a society that conditions us to focus on all of our “imperfections” instead of focusing on the fact that we are all okay just the way we are. 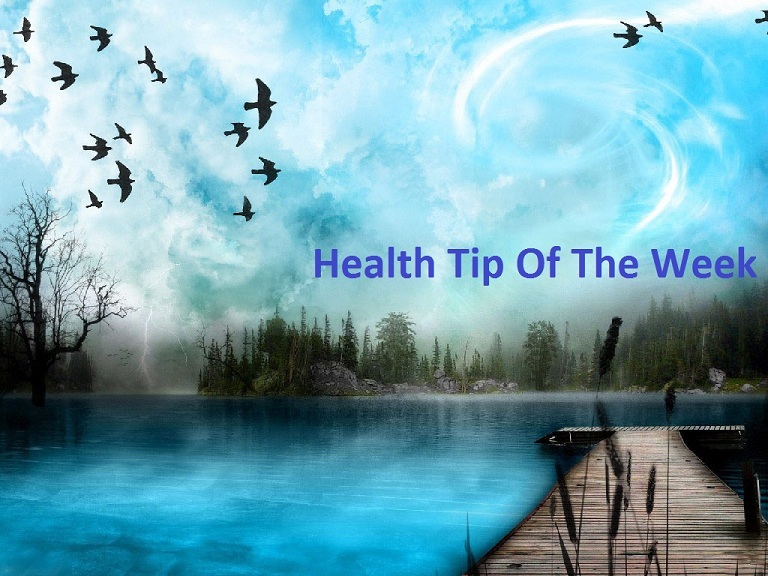 I am writing this health tip of the week to try to change the perspective that many of us have that there is always something wrong with ourselves. We are exposed to thousands of advertisements daily about how to improve our lives, our self image, our “flaws”, etc. This exposure and desire to constantly believe that we are not whole without more “improvements” never ends. No matter what “progress” we make or how we appear, we will always believe that something is wrong with us. Utilize this health tip of the week to realize that we are all okay just the way we are. If we shift our perspective and realize that we are all okay and that we don’t need anything outside of ourselves to feel whole, only then can sustainable improvements to our lives be made. One thing that I personally tend to do that I have been consciously working on is to not dwell on things that have already happened or things that have not yet happened. No matter what you have done in your life, not matter how traumatizing it may have been for you, you must forgive yourself. You must realize that it is okay and that you are okay. If you need to make amends or a change in your life than do so, but realize that nothing from the past can be changed and that no matter what you have done, no progress can be made until you can accept yourself and forgive yourself. A recent book I read put things into perspective for me that really helped me out. When we think back on what we were like when we were younger and the different things that we did, we have to realize that we are not that person anymore. However, we are also not different than that person. If I were to show you a baby picture of myself, I could clearly tell you that I am not that baby. I have changed. I have evolved. At the same time, though, I would not be here today without that child. We are constantly evolving and constantly changing. No two moments are the exact same. So with this mindset it is clear that nothing from the past has to dictate anything that is happening now. Be mindful in the present moment. Be aware of your surroundings. Life can only be fully experienced if we are present in every moment. A fulfilled life is one full of love, compassion, forgiveness, gratitude, and mindfulness. To sum up this health tip of the week, simply realize that everything is okay and that you are okay just the way you are.